Brian Kennedy QC was called to the Bar of Northern Ireland in 1978, the Bar of Ireland in 1985, the Bar of England and Wales in 1987 and was appointed Queen’s Counsel in Northern Ireland in 2001 and Senior Counsel in the Republic of Ireland. Recognised as a highly adept silk and specialised advocate, Brian has acted as lead counsel on many high profile and complex civil cases before the Higher Courts of the UK and in the European Court of Human Rights. His multi-jurisdiction practice encompasses the breadth and depth of civil and commercial litigation and advisory work. 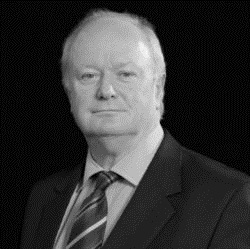 Throughout his wide and varied career, Brian has developed extensive defence litigation experience on behalf of insurance companies, commercial clients and government departments/arm’s length bodies, in addition to acting for claimants, in a wide range of tort and complex contract issues. Brian’s extensive experience in a range of working situations has enabled him to develop an adaptable and collegiate approach to working with others whilst providing leadership and independent counsel. His practical approach is recognised by clients and he applies lateral thinking while offering very tactical advice. He is versatile while robust, measured and determined in reaching the best possible outcome for his client at all stages of dispute. He is recognised also for his constructive and effective approach to alternative dispute resolution through negotiation, mediation and arbitration. Brian is trained, qualified and instructed as a mediator and represents clients in arbitration. • 2001- Part Time Legal Chair of the Immigration Services Tribunal UK. • 2009- Member of Senior Panel in Medical Negligence and General Litigation for the Directorate of Legal Services in Northern Ireland. • 2010 – Part Time Chair of the Information Rights Tribunal UK.